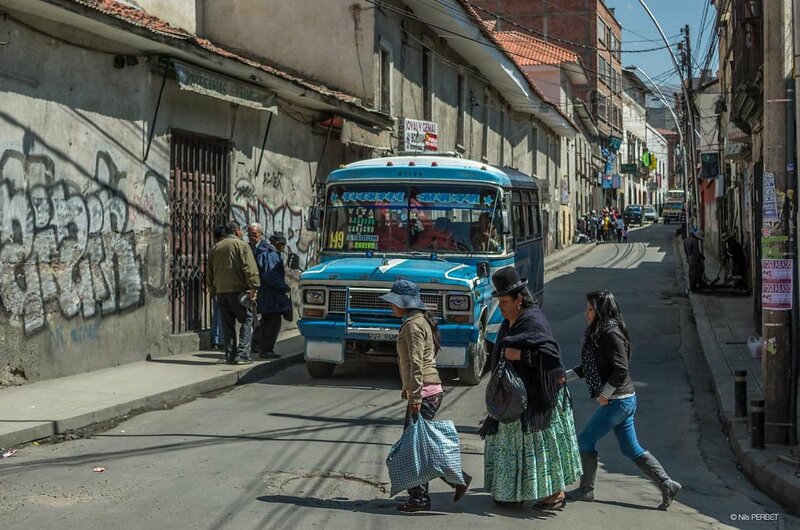 Sitting on the westen side of Boliv, at an elevation of roughly 3,650m (11,975 ft) above sea level, Nuestra Señora de La Paz (commonly know as La Paz), is the Bolivia's third-most populous city. This city was founded in 1548 by the Spanish conquistador. Most of the unhabitant are still wearing traditionnal clothes.